CONGRATULATIONS TO NICK ANTARTIS, WINNER OF THE RAFFLE FOR THIS BEAUTIFUL KEIKO UNO CUFF-STYLE BANGLE DRAWN ON 16 JUNE 2018! 2017 was a great first year for FFO with sold out concerts and our first opera "La Boheme". We are buoyed by the great reception we have received by producing opera in a shorter, more casual and modern way. We were sad to say goodbye to Lachlann Lawton and Sam Roberts-Smith. Lachie is having a wonderful time studying in Manchester, and Sam is working at the Deutsche Oper in Berlin. We wish them every success in the pursuit of their dreams. Paull-Anthony Keightley is also leaving Perth mid-year for a job at the Deutsche Oper. All three are pictured below in our recent production of La Boheme (L-R: SRS and LL, and PAK in the foreground). We have been asked how the name "Freeze Frame Opera" came about. The idea was to make opera more enjoyable (by making it more understandable!) by freezing the action on stage while a narrator helped to break the fourth wall and explain the story (like the technique used in the film "The Big Short" to explain the financial crisis). It is a format we might still adopt in the future, but was not needed for La Boheme. In June 2017 Brans hosted a fundraising night to help FFO reach a target of $10,000 for Match Lab 2017. It was wonderful to be surrounded by such amazing art and to enjoy Grace Farm Wines and food by Samphire Catering. Thanks very much to Clare and John Brans for their generosity, and to everyone who attended the event, and all who helped us reach our goal! We could not do this without your support. Thanks to Tommaso and to the singers who performed on the night. Brans collections are now available to view online. Opera Heroines in October 2017 at Camelot raised $3,000 for Zonta House and SOS. We were thrilled to support the great work of the Zontians. Congratulations to our new mums - Emma Pettemerides, Prudence Sanders and Naomi Johns. Congratulations on all your hard work and keep on singing! Our inaugural Christmas party was a lovely night with Tommaso, the singers and their families, the creatives and our FFO friends. We had a few impromptu carols and stunning food, again supplied by Steve Hitchings (chef to the stars) of Samphire Catering. Absolutely thrilled that esteemed Australian baritone, Michael Lewis OAM, will be singing Tonio in FFO's I Pagliacci in June 2018. We will be joined by a chorus of awesome young WAAPA grads. What an amazing opportunity for the young singers to learn from a pro! That is what we are about at FFO. The other cast members are Paul O'Neill (Canio), Jun Zhang (Beppe), Caitlin Cassidy (Silvia) and Harriet O'Shannessy (Nedda). Our production of Rusalka by Dvorak is being further adapted before we will bring it to the stage. It'll be worth the wait! Caroline Badnall has adapted the score, and we now have writer and poet, Anya Seabourne, working on a revised libretto, in collaboration with the creative team of director - Andries Weidemann and designer - Robbie Harrold. Ileana Rinaldi is a Perth-based mezzo-soprano with an international quality voice that belongs on the world stage! We are thrilled that she will be joining us for Opera at the Quarry in March 2018. Ileana has a busy year ahead performing the Forester's wife and The Owl in The Cunning Little Vixen (for WA Opera), and later in the year, Amneris in Aida, Alisa in Lucia di Lammermoor and Contessa Ceprano in Rigoletto (for OA), and The Witch and Foreign Princess in Rusalka (Dvořàk) (for FFO). Catch her while you can! "it is a fantastic institution, filled with local and international talent." He was cast as Escamillo in a 40 min condensed version of Carmenand is studying with Quentin Hayes (an internationally acclaimed Verdi baritone). He is preparing scenes from Le Nozze di Figaro, in which he is playing the Count, and has been cast as Peter in RNCM's production of Hansel & Gretel. He is looking forward to trips back to sunny Perth and working with FFO again after La Boheme, which he described as "a fantastic experience which I was lucky to share with amazing colleagues.". This will be a good show. Leoncavallo's drama seen up close in Camelot Theatre will pack a punch. There's love and lust, betrayal, revenge, and a double murder in an action packed 100 mins of drama. Musical direction by Tommaso Pollio and lighting by Geoff Glencross. Opera at the Quarry 15-16 March 2018 will be a concert of opera highlights. BYO picnic and low chair. BYO alcohol. There are a growing number of artists who will be performing in this show! So much talent out there .... We have Tommaso Pollio (pianist), Jun Zhang (tenor), Paull-Anthony Keightley (bass), Ileana Rinaldi (mezzo-soprano), Robert Hofmann (baritone), sopranos Naomi Johns, Prudence Sanders, Emma Pettemerides and Harriet O'Shannessy and cellist Sophie Curtis. The concert will include music from Norma, Turandot, La Rondine, Cosi fan tutte, Carmen, Cavalleria Rusticana and more. Only the best bits. Doors open at 6 pm for a 7.30 pm start. Tickets are all general admission. 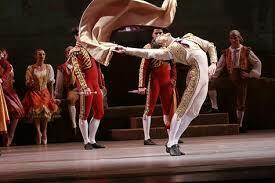 We have a growing circle of donors called the "Musical Matadors", fighting for the future of opera! We are grateful for their support as they have brought the vision to life - that we can make opera that is more accessible, affordable and appealing, and that we can give performance opportunities to outstanding developing singers (local wherever possible). Please call Hattie if you'd like more information mb 0450020321. Donations to FFO are tax deductible. Our inaugural opera gala concert - FFO at the Quarry is coming soon on 15 & 16 March 2018. There are still some tickets left for the Thursday night performance. Friday night is SOLD OUT! Doors open 6 pm for 7.30 pm magical show! BYO picnic and drinks and low chair. The long range weather forecast is looking good. Starring: Tommaso Pollio (piano), Ileana Rinaldi (mezzo-soprano), Paull-Anthony Keightley (bass-baritone), Emma Pettemerides (soprano), Prudence Sanders (soprano), Robert Hofmann (baritone), Sophie Curtis (cello) and Harriet O'Shannessy (soprano). Thanks to the Commodore for having us sing at your dinner last Friday night 16 February 2018 at the Royal Freshwater Bay Yacht Club. Jun Zhang and Harriet O'Shannessy let rip with some opera highlights and even some "popera" numbers! The members enjoyed the show, especially Tommaso's beautiful piano solo, Clair de lune. Congrats to Mr 90!, the lucky winner of 2 tickets to Thursday night at the Quarry. The raffle raised $400 for the junior clubhouse. 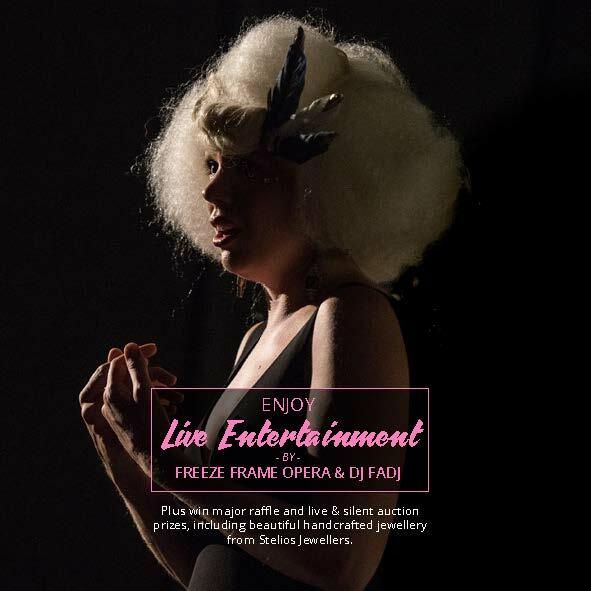 FFO is thrilled to have been asked to provide some amazing opera entertainment for the Artitude Ball 2018 in support of the Telethon's Speech & Hearing charity on Saturday 16 June 2018. Tickets are available now through trybooking.com. We are so excited to see director Rachel McDonald and designer, Robbie Harrold's vision for this incredible opera come to life in June 2018! It'll be a ripper. Don't miss it! THESE SINGERS PACK A PUNCH! On Monday 19 February 2018, some members of the FFO team sweated it out at the Hurt Locker gym in Claremont in a team building exercise where we got to punch each other. Happily, no pianists were injured during this experience. Thanks to all who attended and to Joe for a very satisfying session. FFO is thrilled to welcome Iris Koornstra and Kelly Moore (Treasurer) to the board. We are so grateful for the wealth of expertise that you bring and that you're willing to get stuck in to help make the opera magic happen. Iris and Kelly join other members Chairman - Neville Owen, Secretary - Tahnee Davies, Debbie Attard-Porthuges, Ruth Dineen and Harriet O'Shannessy. Many thanks to Wei Tan (outgoing Treasurer) for all her hard work. Over 40 unique works of art created by Iris Koornstra, inspired by and highlighting debris collected from walking the edge of the Swan River over 3 years. FFO loves receiving tax deductible donations to further our operatic cause! Roma Winmar's beautiful welcome to country, the dulcet tones of Ezereve, and a fly over by flock of Carnaby cockatoos set up a magical scene for the inaugural FFO at the Quarry Opera Gala on March 15 & 16. We were lucky to have two beautiful still March evenings. Thanks so much to all of you who came and brought friends! You were our biggest audiences to date and there was a really lovely atmosphere! Thanks for the wonderful feedback. Some of our favourites .... "I cannot remember having such a feast of beautiful music in one night", "superb voices in a glorious setting" and "even more enjoyable than Andre Rieu". Thanks so much to all who made these special nights happen including: singers Robert Hofmann, Emma Pett, Ileana Rinaldi, Paull-Anthony Keightley, Prudence Sanders, Jun Zhang, Harriet O'Shannessy, cellist Sophie Curtis, pianist Tommaso Pollio, Rachel our page turner, Jill our stage manager, Robbie our designer, Geoff for the lighting, CC for her directorial input, Justin at the Quarry, Australian Piano Warehouse for the Yamaha CVP709 digital piano, AAA Sound Productions, photographer John Marshall, Karri McIntosh hair & make up, our volunteer ushers. Please get in touch if you would like a souvenir program. FFO will definitely be back there next year ... even bigger and better (put it in your diaries - 14, 15 & 16 March 2019!). Don't miss Pagliacci at the intimate Camelot (indoor) theatre this June 8 - 16. Tickets available through www.trybooking.com. Starring Michael Lewis, Paul O'Neill, Jun Zhang, Caitlin Cassidy and Harriet O'Shannessy, and a chorus of WAAPA grads. Pianist and musical director Tommaso Pollio, director Rachel McDonald, lighting Geoff Glencross and set designer Robbie Harrold. Set in Australia in the 1970's in a seaside caravan park, this stripped back Pag seen up close at Camelot will pack a punch. Sung in Italian with English surtitles. On Wednesday 21 March, Rachel McDonald and Harriet O'Shannessy attended a meeting at OA's Opera Centre in Sydney to discuss the future of opera in Australia. In attendance were representatives from the big 4 - OA, SOSA, OQ and WA Opera, as well as all the smaller companies from around Australia. It was a great opportunity to meet all of those creating opera around the country and affirmed that what we are doing at FFO is unique on a national scale. HATS OFF to a great start to 2018! Please contact us to get your FFO hats! Hats are $20. We love these guys. They have been there at lots of our FFO events and the food is SUPERB! Master chef Steve and his wife Jane do a first class job. Samphire Catering are offering a very special 3 hour canapé package for the Autumn/Winter season. The package includes: 7 varieties of canapés and 1 substantial bowl, your own chef and a professional waiter. Cost: $49 per person, minimum 40 guests. Freeze Frame Opera is a proud member of the Perth Arts' Leaders Collective. 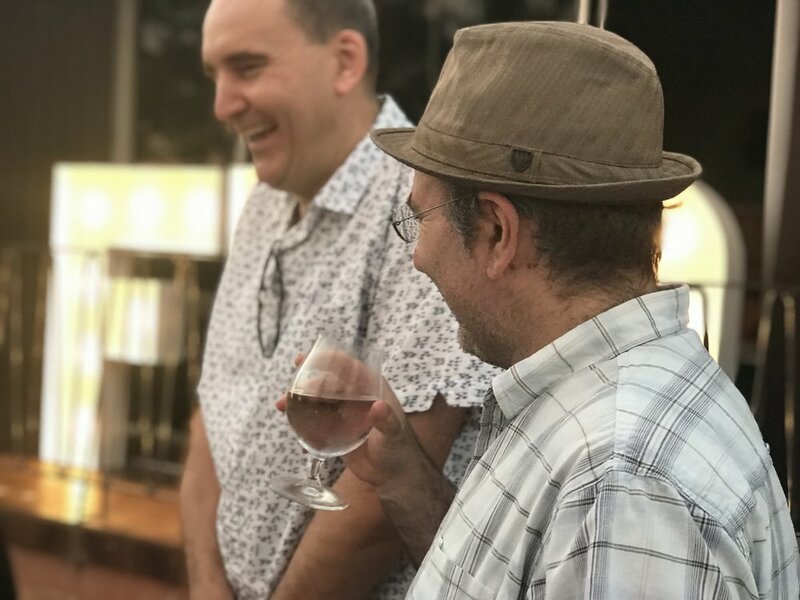 Our mission is to create a collaborative arts scene, including all genres, that aims to engage the widest audience, and which is committed to increasing the size, scale and impact of a professional arts industry in Western Australia for the benefit of all who live, work and create here. See below what some of our other wonderful members (PSO, The Last Great Hunt, and the Giovanni Consort) are up to in the near future! AHG presents 'SIGNED, SEALED, DELIVERED: the music of Stevie & Aretha'. In the world of popular music, it doesn’t get any bigger than Queen of Soul Aretha Franklin and former child prodigy “Little” Stevie Wonder. Now in the year Aretha Franklin is set to release her final album, produced by Stevie Wonder no less, Perth Symphony Orchestra (PSO) are readying themselves to break the rules once more. Again teaming with the WAAPA Gospel Choir following the sold out George Michael tribute Faith & Freedom in 2017, they reunite at the Astor Theatre on May 31, 2018 to perform the work of not one but both these legends of soul, pop and R&B. Written by Gita Bezard (The Advisors, Girl Shut Your Mouth) this hilarious and pointed new show from The Last Great Hunt holds up the fears of the adults against the questions of the teenagers. This is: The Talk. For the first time the passionate and vibrant music of Janáček comes to West Australian Opera with The Cunning Little Vixen. Be transported to the forest and follow the beautifully touching tale of the vixen, Sharp Ears, as she navigates her way through her life; meeting all the whimsical forest creatures and the not so whimsical humans. The Cunning Little Vixen is an enchanting experience to be enjoyed by the whole family in a new production designed by Richard Roberts and Roger Kirk and directed by Stuart Maunder under the baton of conductor Johannes Fritzsch. One of the great masterpieces of early twentieth century music, this rarely-heard opera will be staged for four performances only. We have a circle of donors called the Musical Matadors who have each agreed to contribute $1000 per year for the first two years of our existence to help FFO get off the ground. Their support has been invaluable. In addition, we are launching a new tier of donor - the Tremendous Toreador! FFO - dedicated to spreading the love of opera by introducing new audiences to its magic!